As a Director in our Business Services division, Greg has over 30 years’ experience in dealing with the needs of privately held businesses and professionals. 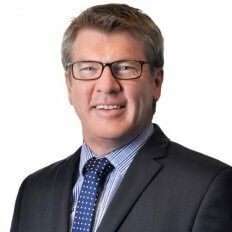 Greg’s expertise is in the area of structural advice & Australian taxation compliance & planning. This also includes provision of financial information in response to financial institution inquiries and legal matters such as marital or business disputes. Greg also engages in preparation of defendant economic loss reports for submission to applicable Courts.